The following homily was preached on March 22, 2019, being the Friday of the Second Week in Lent, during the 10:00am daily chapel service at Ascension Episcopal School’s Sugar Mill Pond Campus in Youngsville, Louisiana. Hence, Abram shows how, as a famous author once said, we should “never be afraid to trust an unknown future to a known God.” For out of the nation God promised Abram came Jesus, the Messiah Scripture says whoever “confesses…is Lord and believes…God raised Him from the dead…will be saved” (Romans 10.9) and through whom God keeps His promise that “all the families of the earth shall bless themselves.” To trust and obey Jesus is to receive God’s blessing of everlasting life and be an heir of His Kingdom. 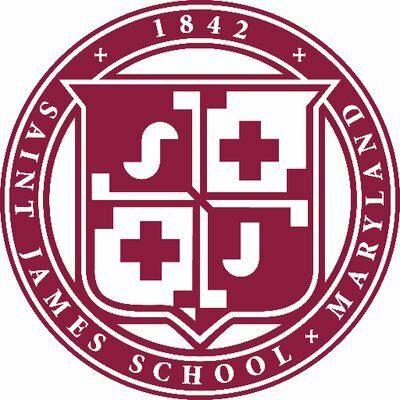 I am leaving to begin a new ministry as Chaplain of Saint James School in Hagerstown, Maryland on August 1, 2019. My last day in the Ascension Church office will be May 31. Saint James is America’s oldest independent Episcopal boarding school, founded in Western Maryland in 1842 to advance among young people the principles of the Oxford Movement, a theological movement seeking to restore within Anglicanism historic catholic Christian doctrines of the pre-Reformation age. Where I have felt God’s call to them is in their intentional maintenance in their community and spiritual life their historic foundation as an Oxford Movement school and that of its successor movement of Anglo-Catholicism. As an Episcopal priest deeply influenced by the Oxford Movement fathers and mothers and Anglo-Catholicism’s liturgical heritage, I feel God’s call to aid Saint James in its mission to raise up “men and women of virtue who can be ‘leaders for good in the world,’” doing so by proclaiming to them nothing else but Jesus Christ in my preaching and teaching, sacramental ministry, and pastoral care. I am greatly humbled and highly honored to have been called to Saint James School as their next Chaplain and look forward to doing God’s work among them. But I head to Saint James thankful to God for these past five years serving you and with you here at Ascension. My service to Christ in this part of God’s Kingdom has been enriched by your support and prayers, for which I will forever be grateful. Together we have grown up more into Christ, weathered challenges, and rejoiced in many blessings. I love Ascension with all my heart and will leave thanking God for giving me the opportunity to have served here. There’s an old spiritual that says, “May the work I’ve done speak for me…When I’ve done the best I can and my friends don’t understand/May the work I’ve done speak for me.” I pray that my work has pointed you to no one else but Jesus the Good Shepherd, who, by dying and rising to life again, has freed us from sin’s power and gives all who believe His Gospel eternal life with God in His glorious Kingdom. It is Christ who is beneath, above, besides, behind, and within us and makes life truly worth living. My love and work for you has all been because of Jesus. If after this school year we should never see one another again in this life, always remember that I love you, but that there is a God who loves you more than I do, through whose love His Son our Savior Jesus Christ came “that [we] may have life, and have it abundantly.” (John 10.10) This is the Almighty God who is and always will be with you. So, in these my now last days with you, just as I have hoped throughout these five years, may all things done be focused on Jesus, our Redeemer and Friend. May He bring you from strength to strength in this life that you may receive the joys of His Heaven in the next. Of your charity, please pray for me as I will continue to do so for all of you. Amen. Cornelia Arnolda Johanna ‘Corrie” ten Boom (1892-1983), Dutch watchmaker who, with her father Casper ten Boom (1859-1944), helped many Jews escape the Nazi Holocaust during World War II by hiding them in her home. Later caught, arrested, and imprisoned at Ravensbruck, ten Boom’s story is recounted in her book The Hiding Place. Samuel Keyes, “From the Chaplain’s Desk,” Saint James School (www.stjames.edu), Web. Accessed March 22, 2019.